Hunter, Douglas . "Nortel". The Canadian Encyclopedia, 01 March 2018, Historica Canada. https://www.thecanadianencyclopedia.ca/en/article/nortel. Accessed 21 April 2019. Nortel Networks Corporation, or simply Nortel, was a public telecommunications and data networking equipment manufacturer. Founded in 1895 as the Northern Electric and Manufacturing Company, it was one of Canada’s oldest technology companies. Nortel expanded rapidly during the dot-com boom (1997–2001), purchasing many Internet technology companies in a drive to remain competitive in the expanding information technology (IT) market. At its height in 2000, the company represented over 35 per cent of the value of Toronto’s TSE 300 index. It was the ninth most valuable corporation in the world and employed about 94,000 people worldwide at its peak. But Nortel soon entered an extended and painful period of corporate downsizing, and in 2009, the company filed for bankruptcy protection in the largest corporate failure in Canadian history. Shareholders, employees and pensioners suffered losses as a result. Company executives, however, were paid a total US$190 million in retention bonuses between 2009 and 2016. Nortel sold off its assets for a total US$7.3 billion. Those assets were scheduled to be distributed to Nortel’s bondholders, suppliers and former employees in 2017. The mechanical department of The Bell Telephone Company of Canada (Bell Canada), located in Montréal, was incorporated as the Northern Electric and Manufacturing Company on 7 December 1895. It merged with another Bell Canada asset, Imperial Wire and Cable, in 1914, to become Northern Electric Co. Ltd. Northern Electric provided the hardware the Bell Canada network required, but it also produced an array of products. Because it manufactured telephone bells, for example, Northern Electric also made sleigh bells. The company also produced the first gramophones in Canada for the E. Berliner Gramophone Company. During the First World War, Northern Electric manufactured the portable commutator, a telegraphic switchboard used by armed forces in the field. After the war, the company manufactured a range of electric appliances, including toasters, electric stoves and washing machines. During the ​Second World War, Northern Electric manufactured radios for ships, planes and tanks, and produced radar for communication systems and electrical equipment for Royal Canadian Navy destroyers. Northern Electric relied on Western Electric Co. (WECO) for technical expertise and product designs. WECO, a subsidiary of AT&T, owner of the American Bell system, came to own 40 per cent of Northern Electric before the U.S. Department of Justice brought an antitrust suit against AT&T in 1949. In 1956, AT&T agreed to limit WECO to manufacturing telephone equipment for the US market and sold WECO’s 40 per cent interest in Northern Electric to Bell Canada. This cut off Northern Electric from the innovators at Bell Labs in the United States. In 1957, Northern Electric established a research and development (R&D) facility in Belleville, Ontario, and created Northern Electric Research and Development Laboratories in 1959. It opened an Ottawa facility in 1961. A few technological achievements resulted, including the world’s longest microwave system, the 6,100 km Trans-Canada Skyway, which went into service in 1958, and the Precision Satellite Tracking Antenna of 1966 (see Satellite Communications). But Northern Electric produced relatively few patents. In 1964, only 1 per cent of its products were of its own design, which grew to a mere 6 per cent by 1969. Northern Electric’s innovation breakthrough came in digital switching systems. Having adapted AT&T’s No. 1 Electronic Switching System (1 ESS) for the Canadian market, Northern Electric focused on designing its own switch, one that would target rural American markets where independent telephone companies didn’t want to buy products from AT&T. The SP-1 switching system, released in 1971, gave Northern Electric a fighting chance in the lucrative US market. That same year, Bell Canada combined its R&D operations with Northern Electric’s, creating Bell-Northern Research (BNR), in a campus setting in Ottawa. Backed by innovations from BNR, Northern Electric pursued product and sales breakthroughs, especially in the US market, based on digital switching technology. Northern Electric had two essential product streams: central office switches used by phone companies, and customer premises equipment (CPE) that provided on-site switching services for businesses. In 1972, it produced its first Private Branch Exchange (PBX) product, a not quite fully digital product called the Pulse that provided CPE switching. By the mid-1970s, 75 per cent of Northern Electric’s products were of its own design. The Pulse was successful enough for Northern Electric to be listed for the first time as a public company. Ten per cent of its shares were listed on the Toronto Stock Exchange in 1973 at $15, with Bell Canada holding 90.1 per cent of outstanding shares. Northern Electric shares began trading on the New York Stock Exchange in 1975, by which time Bell’s share had been reduced to 69.2 per cent. By then, Northern Electric had 24 manufacturing plants in Canada and 6 in the United States. BNR had also set up a research facility in Palo Alto, California, in association with a Northern Electric plant, thus giving Canadian telecommunications R&D a presence in the emerging Silicon Valley. Silicon Valley is the nickname for the southern portion of the San Francisco Bay Area, in Northern California, where many tech companies operate. Situated mainly in the Santa Clara Valley, the area gets the “silicon” portion of its nickname from the many silicon computer chip manufacturers in the area. 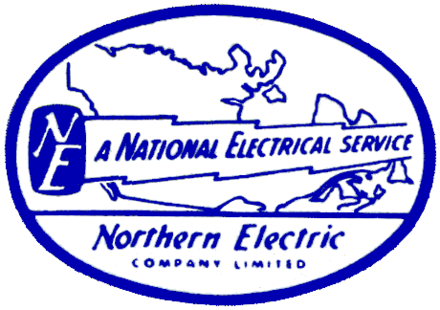 Northern Electric recorded its first $1 billion sales year in 1975. In 1976, it increased its ownership of BNR to 70 per cent and introduced the Digital Multiplex System (DMS) line called “Digital World,” the world’s first fully digital central office switches. About this time, Northern Electric began buying American technology and manufacturing companies. In a 1976 restructuring, Northern Telecom Canada Ltd. was created to manage Northern Electric’s Canadian marketing and manufacturing. Its headquarters were established in the Toronto suburb of Etobicoke. The US division, Northern Telecom Inc., was located in Nashville, Tennessee. In addition to Bell-Northern Research (BNR), Northern Telecom created the joint venture B-N Software Research Inc. with Bell Canada. The company had more than 23,500 employees, including 15,000 in Canada, about 2,200 at BNR, 4,000 in the United States, and about 2,300 in Turkey, Switzerland, the Republic of Ireland, Singapore, Malaysia, and at its Caribbean and Latin American headquarters in Florida. Although Northern Telecom had some bumpy years due to a spree of acquisitions in the United States and strong competition from Canada’s Mitel, the company enjoyed tremendous success in the 1980s. It signed a DMS supply agreement with AT&T in 1980, and its SL-1 became the world’s most successful PBX. Capitalizing on the rise of the information technology (IT) industry, Northern Telecom was by 1991 the world’s largest PBX supplier through its Meridian line, which used a proprietary local area network (LAN) architecture called LANSTAR. LANSTAR could handle voice and text messaging, email, spreadsheets, database management, word processing and an electronic calendar. It was a product that made Northern Telecom a major player in the IT sector. Local area network (LAN) is a communications network that links subscribed computers and other devices within a specific area, such as an office building or university campus. Though its revenues grew, from $2.7 billion in 1983 to $8.2 billion in 1991, Northern Telecom faced increasing competition from another IT development, one that was based on personal computers and Ethernet. At offices and universities, LANs were combining into wide area networks (WANs), and they in turn were using telephone lines and a protocol “language” called TCP/IP to create a new communications phenomenon, the Internet. Global annual Internet traffic (as measured by data packets) grew at an exponential rate, from less than 12 million data packets in 1989 to 21 billion in 1994. Ethernet is a type of networking technology used in local area networks (LANs) and wide area networks (WANs). It is the network over which Transmission Control Protocol/Internet Protocol (TCP/IP), the language of the Internet, is transmitted. TCP/IP is best thought of as the way in which devices in a network format and transmit data to other network devices. Although Northern Telecom developed world-class expertise in two of the high-growth communications technologies of the decade, wireless and optical networking, the company did not take the rise of the Internet seriously. It bet heavily on a technology used for data packets called ATM, convinced of its superiority to the TCP/IP-based Internet protocol. In 1994, the company tried to promote the “infostructure,” its proprietary network rival to the Internet. But the company could not stop the runaway technology train of the Internet. In the late 1990s, Nortel was a leading global provider of mobile wireless technology, and was the dominant supplier of high-speed optical networks. But the company had badly misjudged the rise of the Internet. In 1997, John Roth, an engineer and former president of BNR, was promoted to president and CEO. Roth recognized Nortel’s technology gap, and resolved to address the deficit by buying other companies, many of them cutting-edge start-ups with technology patents but little to no sales. In June 1998, the company began a buying spree of Internet technology companies by announcing the US$9.1 billion acquisition of Bay Networks of Santa Clara, California. In April 1999, the company name was changed from Northern Telecom Ltd. to Nortel Networks Corp. and Bell Canada Enterprise’s (BCE) ownership dropped from 51 per cent to 41 per cent. Nortel continued to buy companies, spending US$19.7 billion on acquisitions in the year 2000. Rather than using cash, Nortel overwhelmingly paid for acquisitions with its own treasury shares (the portion of shares that a company does not trade on the market). From 1997 to early 2001, Nortel enjoyed a spectacular run as a widely held investment, as part of the broader dot-com investment bubble. Individual and institutional investors (including pension funds), convinced Internet-technology companies would experience never-ending sales growth, poured money into this sector of the stock market, driving up share values. Nortel’s stock rise, however, was complicated by the peculiarities of accounting rules. Under the generally accepted accounting principles (GAAP) of both Canada and the United States, Nortel was ineligible to use the “pooling” method for acquisitions of other companies. Under the pooling method, acquisitions were treated like mergers and the acquiring company did not have to account for the expense of an acquisition. Pooling was seldom permitted for acquisitions in Canada because mergers had to involve companies of similar size. As well, Nortel did not qualify to use pooling under US accounting regulations because it was not an independent company, as BCE owned a large block of shares and appointed board members. Nortel thus was required to use the “purchase” method and to depreciate or amortize (write off) the value of an acquired company’s assets. As Nortel began acquiring billions of dollars’ worth of companies, a considerable reportable expense erased its profitability. Between 1997 and 2001, its period of greatest acquisition activity, Nortel did not record a single profitable year under GAAP. Nortel’s unprofitable performance under GAAP ought to have hampered its investment attractiveness. However, many investors and analysts, and Nortel itself, were unhappy with the impact that accounting methods had on the company’s profitability, especially as little to no cash was used in these acquisitions and most of what was being acquired was in accounting terms “goodwill,” which consisted substantially of patents. While abiding by GAAP principles in its financial reports, Nortel promoted an alternative accounting that it called “earnings from operations.” This version of its performance ignored depreciation and amortization of acquisitions’ assets, among other costs that negatively impacted earnings, and made Nortel look profitable. The few analysts who objected to this strategy argued that “earnings from operations” made it possible for Nortel to acquire for free the technology and other assets and revenues (where they existed) of companies it took over. A form of financial reportage that implied a company could acquire something for nothing made no sense to them. But those objections were overwhelmed by investor enthusiasm for a corporation that promised revenue growth rates of 30 to 40 per cent. In January 2000, Bell Canada Enterprises (BCE) announced its plan to divest its 39.23 per cent ownership of Nortel, which by market capitalization had become the largest corporation in Canada. In May 2000, BCE’s Nortel shares were distributed to BCE shareholders, which by then represented 37 per cent of the outstanding shares. The divestment greatly increased the number of shares available to be bought and sold on the Toronto and New York Stock exchanges, and in July 2000, Nortel’s common shares reached a historic high of $124.50 on the Toronto Stock Exchange (TSE) and represented over 35 per cent of the value of Toronto’s TSE 300 index. Any investment fund, including pension plans, that based its portfolio on the composition of the “300” and other indices in which Nortel figured prominently had to hold large quantities of its stock. The Canadian investment world was dangerously exposed to any reversal in Nortel’s fortunes. Canada’s business media and the investment community believed fervently in Nortel. In 2000, John Roth was named Canada’s CEO of the Year (an award sponsored by the National Post, Caldwell Partners International, CTV and RBC Dominion Securities) and Newsmaker of the Year by TIME Canada. However, there were growing signs that Nortel could not continue to increase its earnings revenues at promised rates. The stock suffered a major sell-off in October 2000 when the company’s third-quarter revenues failed to meet analysts’ expectations. The reversal began in dramatic fashion on 15 February 2001, when the company abruptly revised its earnings guidance for the first quarter, which it was halfway through. Investors were accustomed to changes in guidance amounting to a few cents per share. Nortel instead dropped a bombshell: rather than earn $0.16 per share in the first quarter, the company would lose $0.04, and projected revenue growth for 2001 of 30 to 35 per cent was drastically scaled back to 10 to 15 per cent. Nortel stock, which had been trading around $46 (after a split) on the TSE when the revised guidance was announced, began an unstoppable slide. In April, the company announced the coming retirement of John Roth. By June 2002, Nortel stock was trading at less than $3. The February 2001 reversal spawned a rash of investor lawsuits. In 2006, the company agreed to a payment of US$2.473 billion in cash and stock to settle class-action lawsuits in New York in which Canadian pension funds were lead plaintiffs. The suits arose from the company’s accounting practices between 24 October 2000 and 15 February 2001, as well as between 24 April 2003 and 27 April 2004, when Nortel was rocked by another scandal surrounding revenue recognition and profitability. In 2007, the U.S. Securities and Exchange Commission filed a complaint alleging the company engaged in fraudulent accounting schemes in 2000, 2002 and 2003. Without admitting to or denying the allegations, Nortel agreed to a final judgment in New York State district court that involved a civil penalty of US$35 million, which was to be disbursed among eligible claimants from previous class-action suits brought against Nortel. Nortel’s extended and painful period of corporate downsizing culminated in the company filing for bankruptcy protection on 14 January 2009. It was the largest corporate failure in Canadian history. In 2012, three former senior Nortel executives, including John Roth’s successor as CEO, Frank Dunn, went on trial in Ontario Superior Court, charged with fraudulently using the company’s reserves as a “cookie jar” to create an illusion of profitability that netted them personal bonuses. All three were acquitted. Nortel’s shareholders, employees and pensioners suffered enormous losses after the company filed for protection from its creditors in Canada, the United States, Israel and the United Kingdom (see Bankruptcy). Nortel sold off its assets for a total of US$7.3 billion. Those assets were scheduled to be distributed to Nortel’s bondholders, suppliers and former employees in 2017.